Dana Markos Events; Event Design and Floral Styling: Look Great and Feel Great for Your Big Day! Everyone wants to look FABULOUS on their wedding day, and not worry about how they will look in pictures, if their dress will still fit, and if they are going to (most importantly) feel great on that day. Getting in shape and eating right has never been easier - and if you have a few months to go before your wedding, here are some great ideas as to how you too can shed some pounds and feel your best! 1. Change up what you would normally eat. It is now time to cut out all fast food, processed, junk foods, and any foods that you can microwave! Think of planning your meals ahead of time, and really try to get some more greens into your diet! 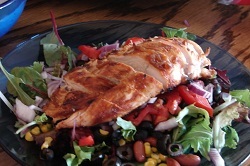 Have a salad for lunch or dinner and make a nice piece of chicken to go on top of it! This is a great way to stay filled throughout your day, get some protein, and most importantly get those bad foods away. 2. GET ACTIVE! Don't sit around too much stressing about your upcoming wedding. Instead try to workout at least 4-5 times a week for at least 1 hour. When working out, you have to really confuse your muscles in order to see some results. Rather than going on the elliptical for 30 minutes, do more circuit training. Run/speed walk for 15 minutes, strength training for 10 minutes, and abs for 5 minutes, and then repeat! Another great idea is to try some new activities, take some spinning classes, yoga, Pilate's, or Zumba classes at your local gym to make sure your routine doesn't get boring! More ideas could be to find some local trails in your area and go for a hike when it is a nice day out, this way it won't feel too much like you are working out, rather you are enjoying a nice day with your fiance, or friends! 3. 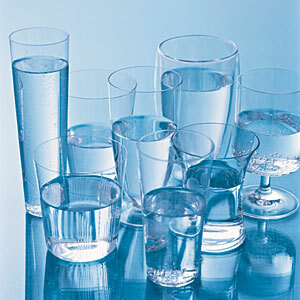 Drink lots of water - limit alcohol consumption and soda. It may seem crazy but once you reduce the amount of alcohol you drink and replace is all with water, you will see a major difference in how you feel, your skin complexion, and weight dropping off. It may seem too good to be true, but if you try it out it will work! Also, cut out soda, it is very high in sugar and this will definitely not help you shed some pounds, even diet drinks - cut it all out! 4. Eat breakfast! This will jump start your metabolism for the day and really get you feeling energized early on. Now, this doesn't mean you can just eat whatever you want, you still need to plan ahead for this meal! Egg whites are a tasty option for when you wake up and fun to make too - you can put some peppers, onions, broccoli, whatever you want, in it to appeal to you! Another great option is to make yourself a nice smoothie. This has lots of different fruits in it, and with yogurt or milk it also gets some of that dairy into your day as well. 5. Portion control! This is KEY!! Eating too much of anything is bad for you, so try to limit yourself to one serving of anything you eat. 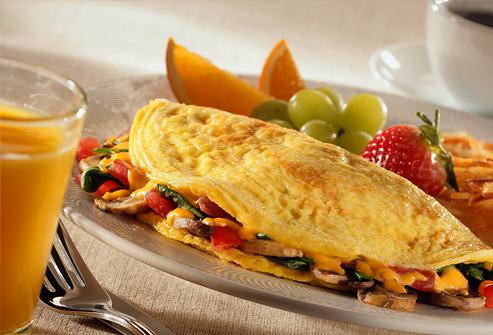 Make one omelet for breakfast, have one bowl of cereal with fruit, have one bowl of salad with chicken on top. This may seem drastic and leave you wondering - will I always be hungry? But you will get used to it, and it will soon become a habit to always eat this healthily! Now have fun food shopping, and working out with friends and family! We would love to hear about your workout regime, or what other tips you may have to offer.